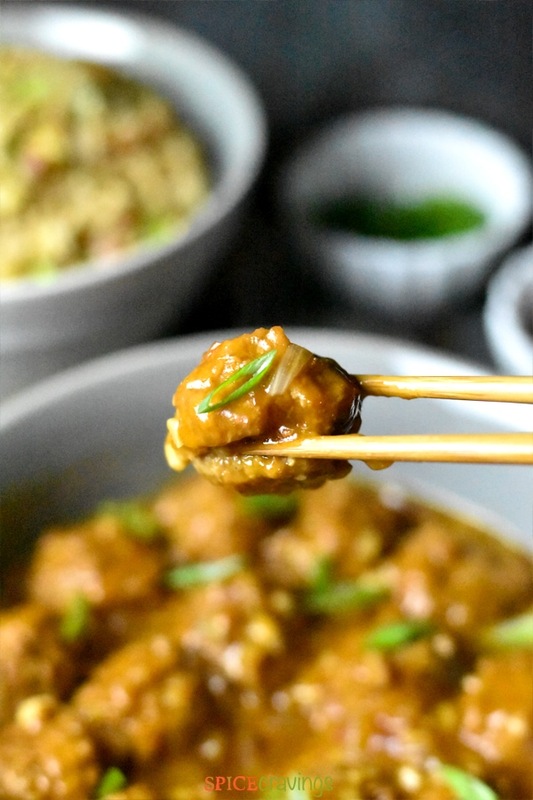 Veg Manchurian is a popular Indianized Chinese dish, in which vegetable meatballs are simmered in an asian flavored sweet, spicy and tangy sauce. Traditionally, it is a time-consuming dish where I make the vegetable meatballs from scratch, deep-dry them, and then simmer them in sauce on low-heat. 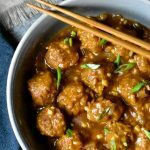 In my 30-minute hack for this recipe, I use store-bought soy-based meatless meatballs and pressure cook them in a flavored broth, in my electric pressure cooker, Instant Pot. I serve it over fried rice, or, brown Jasmine rice and just like that, a delicious dinner comes together in under 30 minutes. Indo-Chinese cuisine was extremely popular, when I was growing up in India. It is a street-food style adaptation of popular Chinese dishes, catered to the Indian palette. Some of my favorite Indo-Chinese dishes include Chicken Sweet Corn Soup, Chicken Manchurian, Hakka Noodles, American chopsuey, which is very different from the American chopsuey you get here, and then there is the super popular Vegetable Manchurian. If I am making Vegetable Manchurian from scratch, I start by finely chopping assorted vegetables like carrots, cabbage, bell pepper, onions, ginger, garlic and spring onions. Then, I add seasoning and bind these chopped vegetables with flour, cornstarch and water, and shaped into round balls, about half the size of a golf-ball. I deep fry these veggie balls and keep aside. Simultaneously, I prepare a quick sauce or glaze by sautéing aromatics like fresh ginger, garlic, onions and red chilies. I add water, soy sauce, vinegar, chili garlic sauce and thicken it with a cornstarch slurry. I add the manchurian balls and simmer them in the sauce for about 30 seconds to a minute. 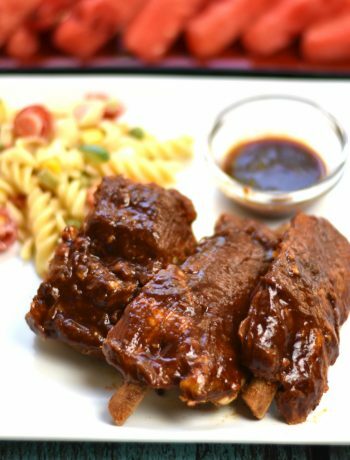 This dish is pretty versatile as it can served as an appetizer as well as a main course. If you are serving this as an appetizer, simply reduce the quantity of water to one cup in this recipe, and follow the rest of the instructions. 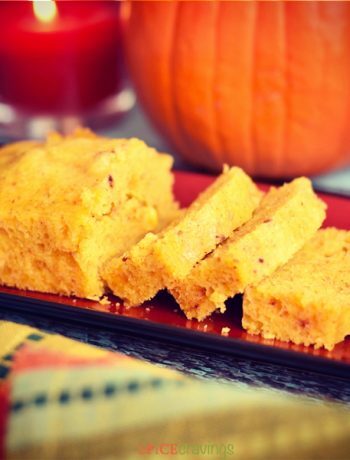 It is very easy to adapt this recipe for the stove-top. Heat a wok, or a deep skillet on medium-high heat. Saute onions, ginger and garlic. Add water, tamari, vinegar, sambal, agave, ketchup and seasoning. Bring to a boil, then reduce heat to medium, and simmer for 10 minutes. Check for seasoning, add the store-bought vegetable meatballs and cook for a few minutes, till they become tender and absorb some of the flavored broth. 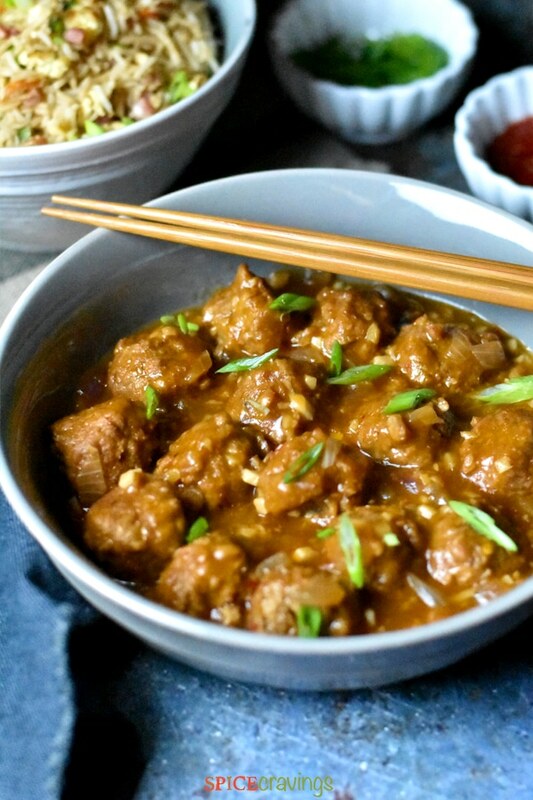 To thicken the Manchurian gravy, make a cornstarch slurry and add while stirring. Add till you reach the desired consistency. Garnish with sliced spring onions and serve with White or Brown Jasmine Rice and enjoy! 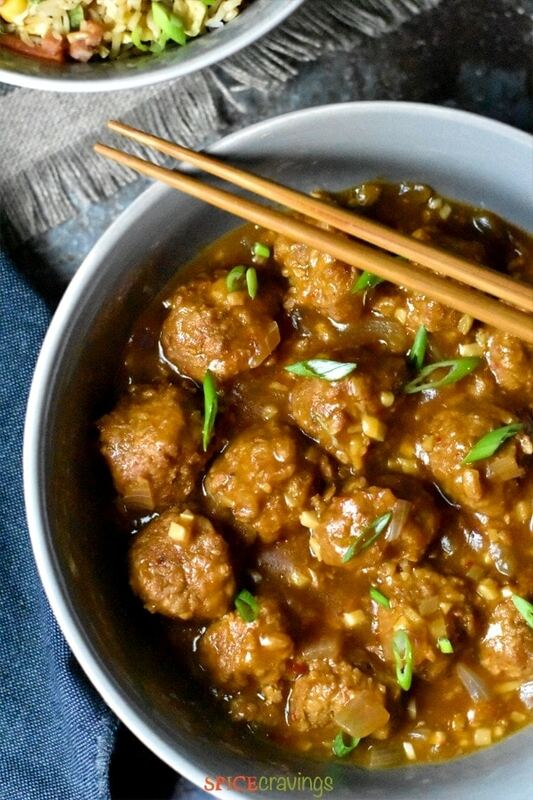 Using this recipe, you can make Chicken Manchurian in your Instant Pot too. Simply replace the meatless meatballs with chicken or turkey meatballs and follow the instructions. That simple! 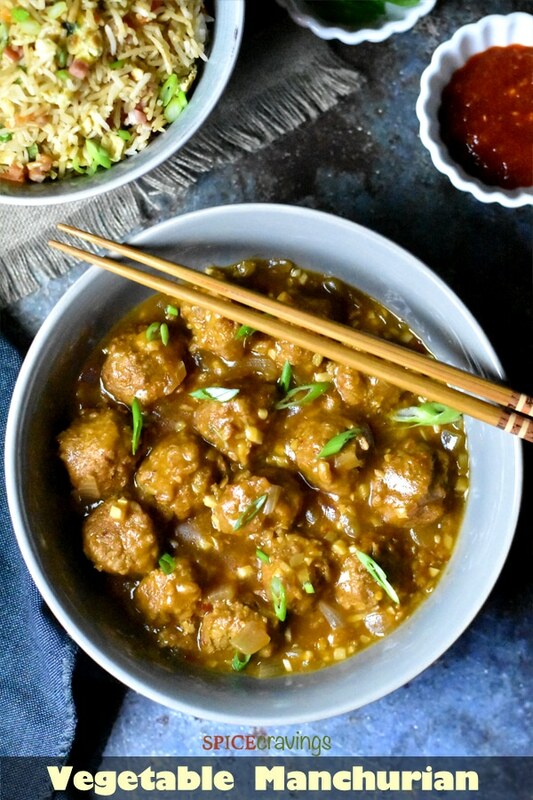 Vegetable Manchurian is a popular Indianized Chinese dish, in which vegetable meatballs are simmered in an asian flavored sweet, spicy and tangy sauce. Turn on Saute mode on high. When the display reads, 'hot, add oil and chopped onions, garlic and ginger. Saute for 1 minute. Add water, all sauces and seasoning listed under "sauce". Stir and add the frozen veggie meatballs. Cancel Saute. Close lid. Press Manual or Pressure Cook at 3 mins. When 3 minutes is up, manually release the pressure by turning the vent to 'venting' position in DUO, or, Press down the pressure release button in ULTRA. When the pin drops, open the lid. Turn on Saute. Stir together the cornstarch slurry by mixing cornstarch with water. Mix till you get a smooth milk-like consistency. Add a little as a time, while stirring. Stop when the sauce thickens to your desired level. If you have regular soy sauce instead of Tamari, check for seasoning after adding the soy sauce, and add an extra pinch of salt or 1 tsp of soy sauce. What can be used as replacement for rice vinegar? What other type of vinegar can be used? 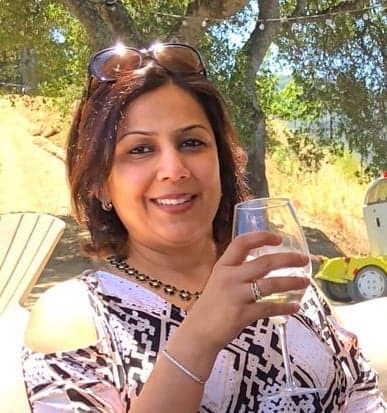 Hi Swetha, you can use apple cider vinegar or white vinegar instead. Would love to hear how that works!